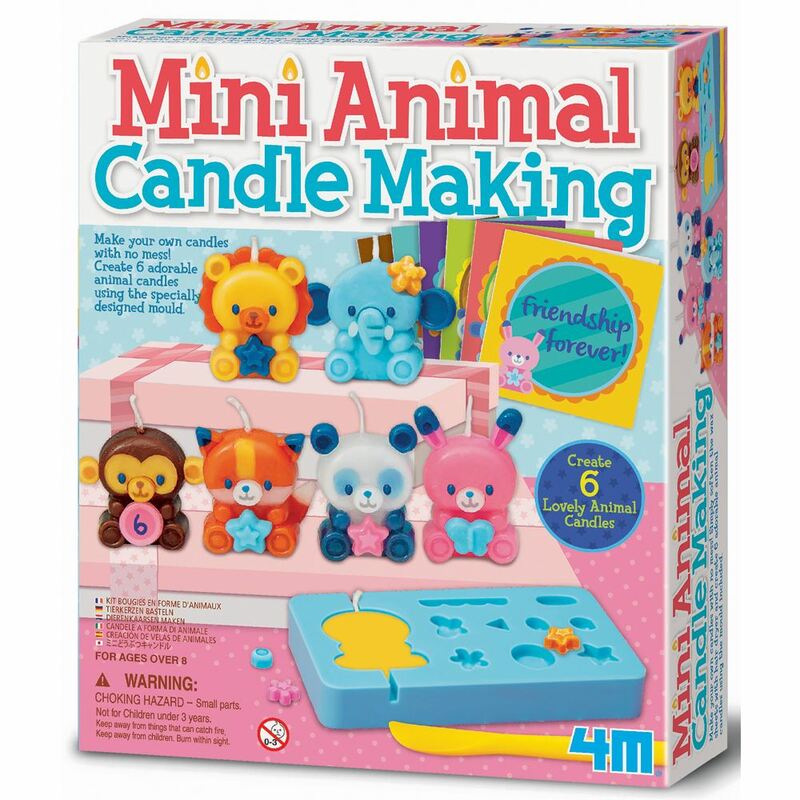 Have fun with the Animal Candle Making Kit from 4M. Create your own candles with absolutely no mess. Simply soften the wax sheets with a hairdryer and create six adorable animal candles using the mould included. Creates six adorable animal candles. Age 8+ years. Distributed in New Zealand by Holdson.